I have reported previously on the Senate inquiry on this Bill and the public forum held to discuss civil society concerns (which TGA staff were instructed not to attend). The report of the Government controlled Senate Committee recommended that the Bill be passed without amendment. The Greens provided a strong dissenting report (Labor a weak one) and Senator Richard Di Natale proposed amendments to the Bill that addressed several of the issues of concern. 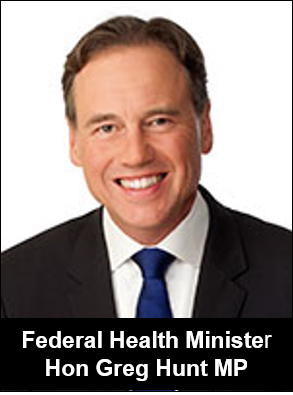 The weekend before the Bill was to be debated in the Senate, a letter from Health Minister Hunt to the Labor Party was circulated for comment. It proposed several non-statutory concessions. These included improved stakeholder engagement via a new Therapeutic Goods Advertising Committee to oversee the TGA’s new complaint system, transparent (albeit unrealistic) performance indicators, and an independent review of the new advertising measures within 2 years of implementation. After a rushed and imperfect consultation with civil society colleagues on Saturday afternoon and Sunday morning (not all were contactable) a response was sent to the Labor Party. On the morning of the Senate debate, the government proposed a further concession for Labor to support the Bill; extending the current pre-approval system for 2 years, with a review after 18 months. Labor agreed, the Greens amendments were ignored, and the Government amended Bill is now set to be passed. Concerns about the improbable timeline for introducing the new advertising system and unrealistic performance indicators were ignored. For example, the centerpiece of the new regulatory system is a new Therapeutic Goods Advertising Code. The current Code is badly out of date and was not intended to be used as a black letter enforceable document. However, the TGA has yet to provide a draft of a new Code for consultation with stakeholders. Even with modest subsequent amendments, approval, publication and implementation of the Code is unlikely by July 1, 2018. Minister Hunt’s letter also proposed that critical complaints will be actioned by the TGA within 10 days and high and medium impact cases closed within 20 and 40 days. These timelines appear impossible to meet. Average case completion times for the Australian Competition and Consumer Commission (ACCC) is closer to a year than a few weeks. The Administrative Appeals Tribunal and the Australian court system will not tolerate lack of due process. The Government also failed to act on concern about the TGA’s endorsement of traditional indications. The Bill allows numerous traditional indications for which no scientific evidence of efficacy need be provided. These include claims that Traditional Chinese Medicine can, ‘Disinhibit Water’, ‘Stimulate stagnant Qi’, and ’Subdue Yang’. Allowing such claims encourages industry to evade the need to have scientific proof that their products work, provides government endorsement of pseudoscience and further encourages consumer spending (now over $4.5 billion each year) on complementary products that are largely unnecessary. At the very least, consumer groups wanted such indications to be accompanied by a disclaimer making it clear that that these products are based on alternative health theories that have been discounted by modern medical science. The battle now moves to the Code Council where the new Therapeutic Goods Advertising Code is to be drafted. In addition, civil society organisations have indicated they will test and evaluate the new system by submitting a flood of complaints. This entry was posted in Complementary medicine, Medicine policy, Natural Therapies, Pharmaceutical Promotion and tagged advertisements, Greens, Health Minster Hunt, Labor Party, Permitted Indications, pre-approval, Regulatory Reform, Senate Community Affairs Legislation Committee, Senator Di Natale, TGA, Therapeutic Goods Advertising Code, Transparency. Bookmark the permalink.